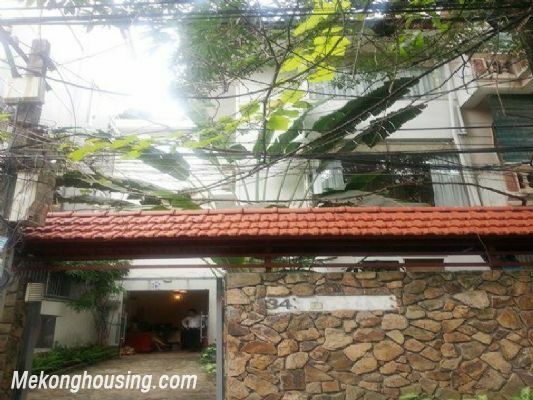 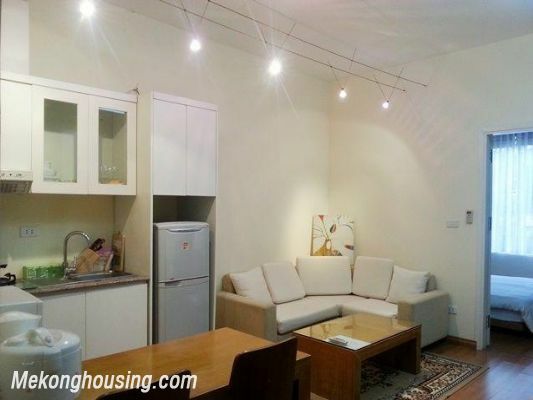 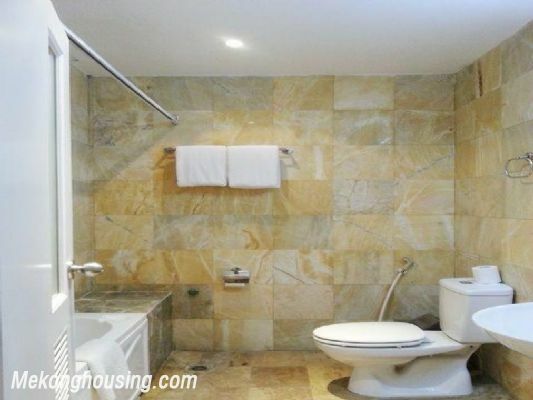 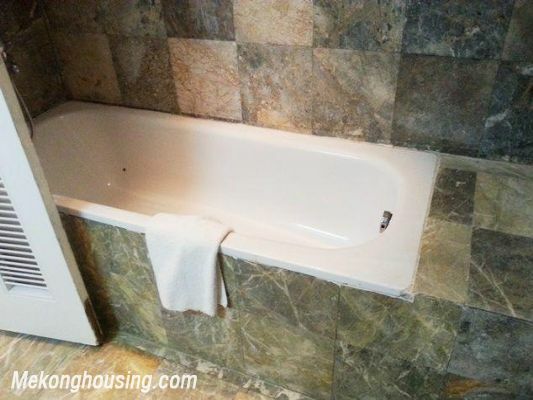 Nice apartment with one bedroom for rent in Cong Vi, Ba Dinh, Hanoi. 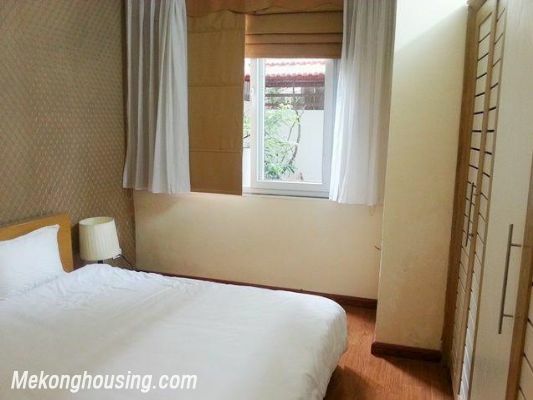 Total living area is 55 sqm, composed of a bedroom, a bathroom with bathtub, a cozy living room, and open kitchen. 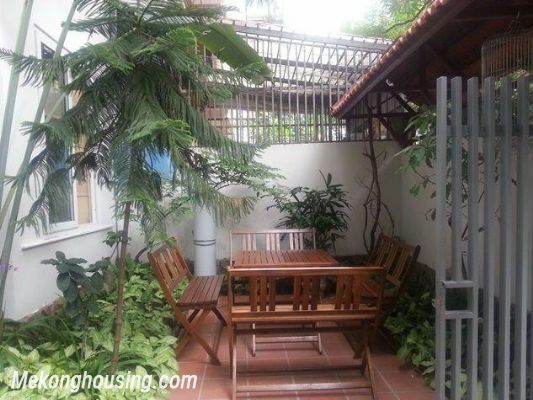 The apartment is belong to the beautiful building where has garage, security 24/24.